The timeless design of the Ecos Exposed Single Lever Bath Shower Mixer can be harmoniously integrated into everyday design. 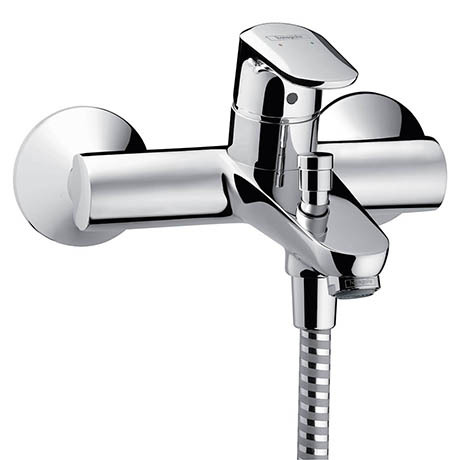 With gently rounded contours and a polished chrome finish, this tap emphasises the high quality of this range. AirPower technology adds generous amounts of air to the water, creating a soft, splash-free spray while the QuickClean rub clean aerator loosens any limescale deposits making sure your tap looks beautiful, and stays working for longer.